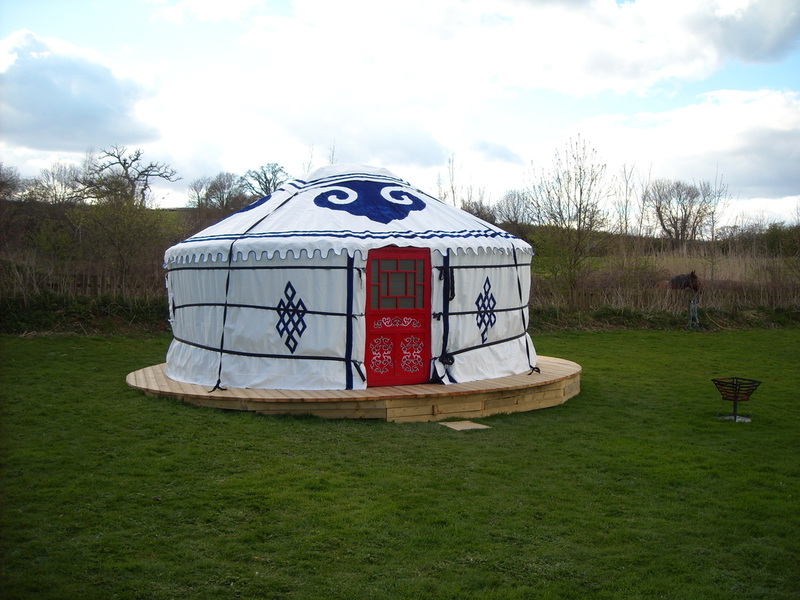 Tamar Yurt - DEVON YURTS Glamping in Style! 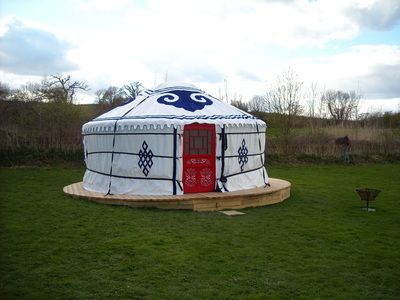 The Tamar yurt is an authentic Mongolian yurt which is highly decorated on the outer covers and traditionally decorated on the crown wheel and door. 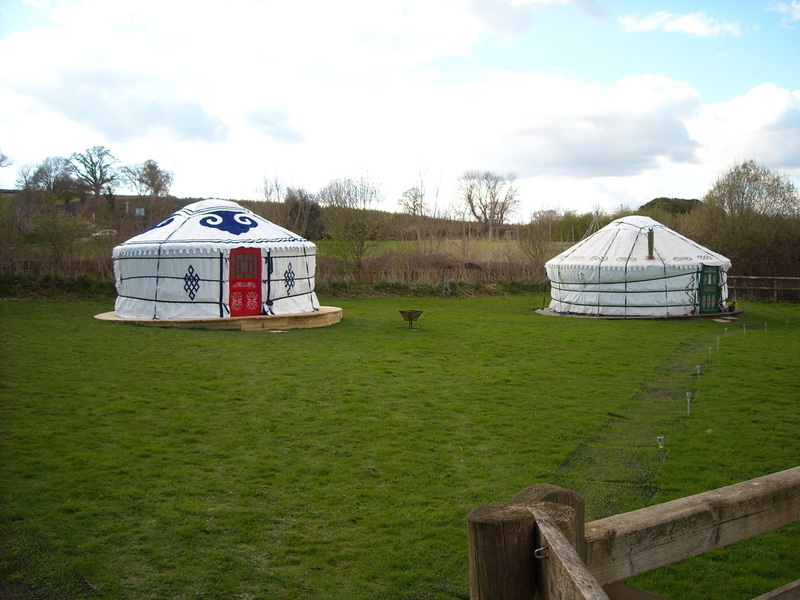 The Tamar yurt can sleep up to 4 persons in a combination of a double bed and 2 single beds. 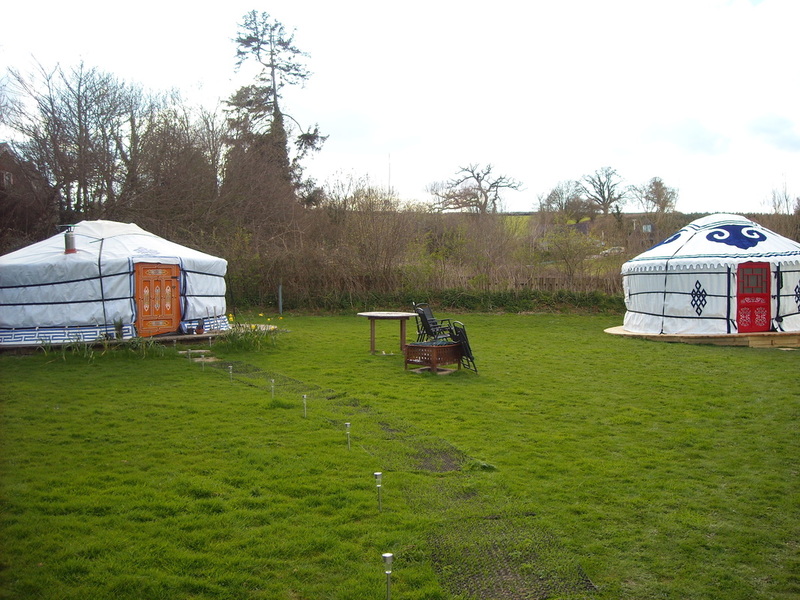 ​The Tamar yurt is very comfortably furnished with full sized beds: One double and two single day beds and a wood burning stove for those cooler evenings. 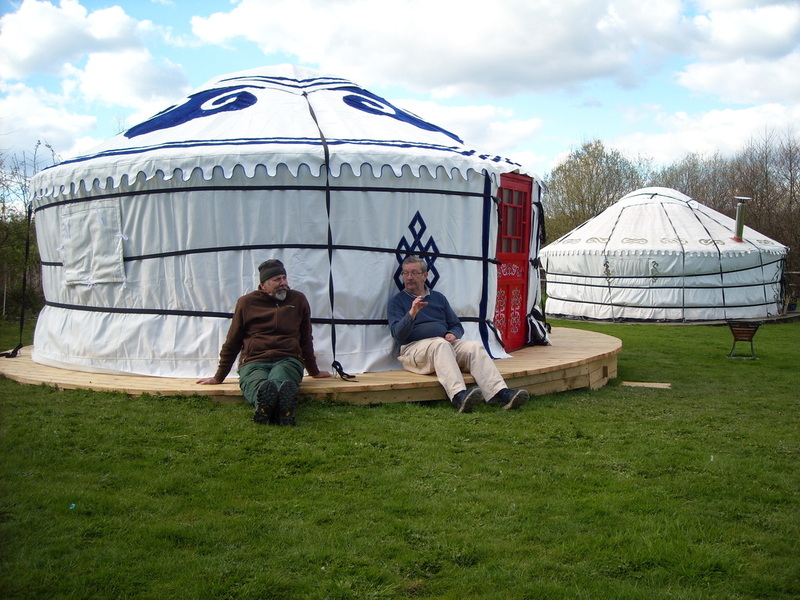 Outside is a fire pit and seating area with lovely views across the lake field towards the river Hems at the bottom of the valley. 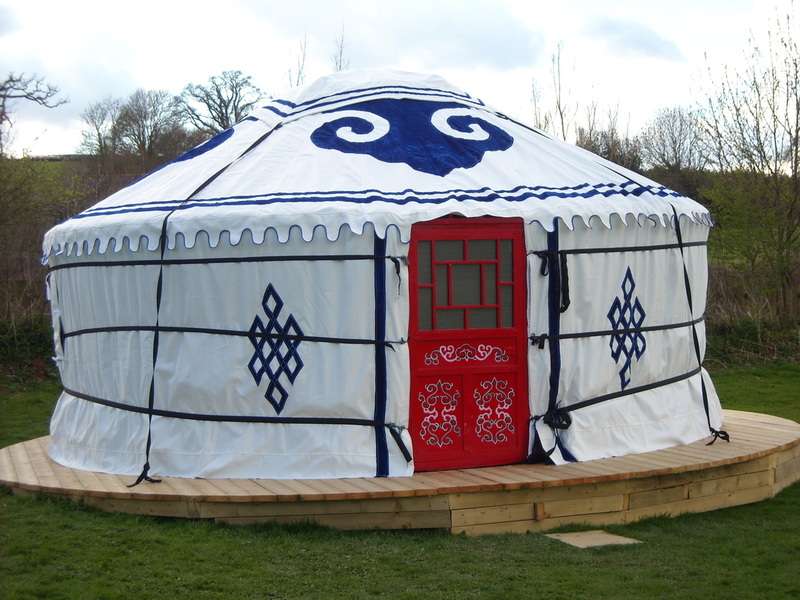 The Tamar yurt is a slightly different design to the Dart yurt which also sleeps persons. 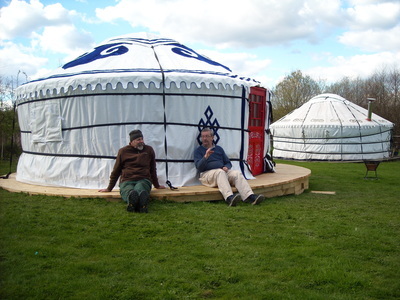 The Tamar yurt does not have dragon posts holding the crown wheel in place, and this means it has slightly more head room inside, and 2 windows on the outside walls, with a fly screen.